Gluten Free Pumpkin Cookie | Gluten-free from Utah! Love Pumpkin Cookies? 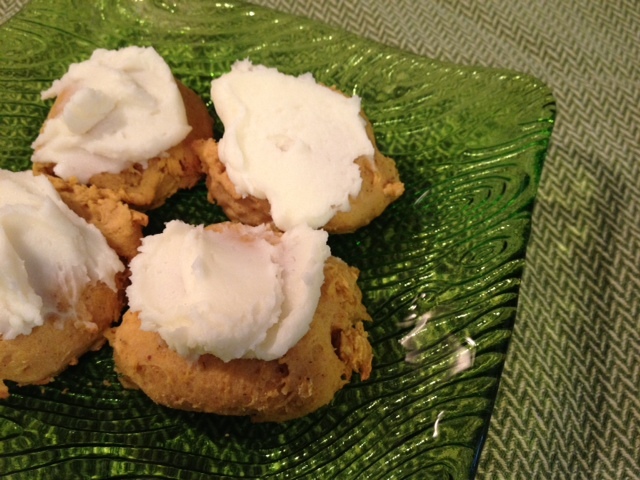 here is a link for a yummy pumpkin cookie! Even though it is near 90′s here in the deep South, the leaves are starting to fall and change colors. Along with the changing colors is my urge for baking with apples and pumpkin to get in the spirit of the fall season. Recently, Glutino sent me a package of what happens to be one of my favorite all-time gluten-free flours, Gluten-Free Pantry All Purpose Flour. 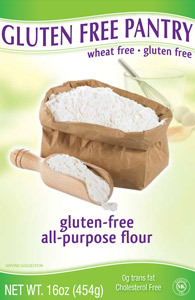 I discovered this flour shortly after being diagnosed with celiac. And I found that among all the gluten-free flours I have tried, this one worked best to get the closest results to baked items with gluten-filled flours. I use this for holiday cookies, sugar cookies, quick breads, or a thickener in gravies and soups. To get into the fall season, I decided to bake some pumpkin cookies with my new box of flour. The house smelled like autumn and it was definitely hard to eat just one. I made some mascarpone cream to top the cookies, but these are just as tasty with no frosting at all. 5. Cool completely on cooling racks, and serve with or without frosting. 6. To make the frosting, mix the mascarpone and powdered sugar in a medium-sized mixing bow using an electric hand mixer until well combined. Spread on cooled cookies.